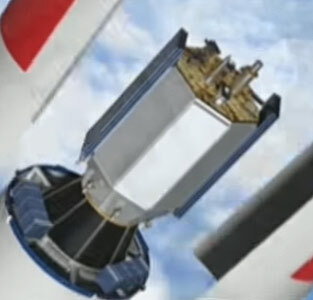 Pujian 1 is a Chinese technology demonstration satellite. Pujian 1 is to demonstrate miniaturized satellite components like heat transfer pumps and microprocessors. It utilizes standardized "plug-n-play" payload interfaces to able to carry wide range of instruments on board. Also it has temperature sensors on board that uses WiFi to transmit data within the satellite. Aditionally it features a 3D-printed Titanium antenna structure. Originally it was to be launched on the maiden CZ-6, but it was finally launched together with three TW 1 cubesats on the maiden flight of the CZ-11 rocket into a sun-synchronous orbit at an altitude of 481 km.